As the holiday season approaches, retailers are thinking about ways they can prepare their ecommerce operation for peak season sales. Time is already running short to take on bigger projects. But if you’re site does need upgrades, don’t worry – it isn’t too late! There are plenty of enhancements merchants can make now to get ready for Q4 that don’t involve a full redesign or a massive development project. Here are our top five suggestions that will get your site up to speed for the holiday season. This is a no-brainer, but it bears repeating. Once you get your site to a stable point, you shouldn’t make any major changes and risk breaking your site during the critical sales period. We generally advise implementing the code freeze beginning October 1, and no later than October 15. Going into Q4, give a schedule of marketing activities to your support provider. This allows them to monitor specific events on certain dates. If you’re planning a big sale, offer or promotion that will increase traffic and load to the site, the support team will need to be prepared. It’s also worth thinking about some extreme scenarios. What if a promotion goes viral? This can be a great thing for your sales, but it’s also a big risk! For example, last year, one of our client’s product lines was endorsed by a popular blogger in a video. The video went viral and drove tons of traffic to the site, causing an increase of 1500 active users to 5000 active users in just 15 minutes. The auto scaling didn’t scale quickly enough, and the site crashed. Although the support team got things back up and running, the lesson here is to test for these kinds of circumstances. You never know what may happen, and it’s better to be prepared. It’s always a good idea to perform load testing, but simply determining what to test for can be a challenge in itself. The higher the load you test, the more expensive the test becomes. So what do you test for? There’s no exact formula, so each business will need to analyze their own data and come up with the numbers that work for their business. Start by comparing against historical traffic data. What kind of trends have you seen in the past around the holidays? What kind of increases have been caused by special promotions? What are the chances you’ll go from 1500 concurrent users to 5000, for instance? Maybe it’s a remote possibility, but it’s important to have the conversation and make a plan. It’s also important to load test all the way through the checkout. A user doesn’t really generate significant load on your machines until they enter the checkout funnel. That’s where the load actually is, and what actually needs to be tested to show the best results. Of course, high loads are easier to handle if you use auto scaling. If load increases, you simply push a button and add more servers to handle the load. Prior to the holiday season, review your auto scaling rules, and make sure they’re set up to handle the demands of the months to come. If your site doesn’t currently use auto scaling, this is the single most important thing you can do to prepare for Q4. However, even if you start this project tomorrow, the timeline may be too tight to get your site converted before the October 1 code freeze. It is still worth beginning the conversation around implementing this technology, and it’s something your team can revisit in January. In the meantime though, there are still some good options you can use. A great idea for retailers that don’t use auto scaling (and even those that do!) is to create static pages using Amazon Web Services (AWS). These pages can be hosted on AWS with auto scaling, even if you don’t have it on your main ecommerce site. There’s no database involved, so there’s no heavy lifting. You could create one landing page, or five, or more, and the pages can be branded to look like the rest of your site. Shoppers won’t know the difference, but your business benefits from the auto scaling environment. The idea behind this is when you send out a massive promotional email, you direct all traffic to a static landing page that can handle much more traffic than your ecommerce site. From here, shoppers will enter directly into the checkout or the shopping funnel. Since a lot of people are going to hit the landing page and bounce without clicking on links anyway, you protect your site from unwanted traffic. Ready to implement these enhancements on your site? Contact our team to get started. 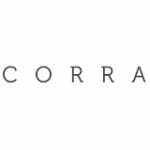 Mike Sole is Corra’s Director of TotalCare. Manish Paranjape is Sr. Director of Solutions Architecture.